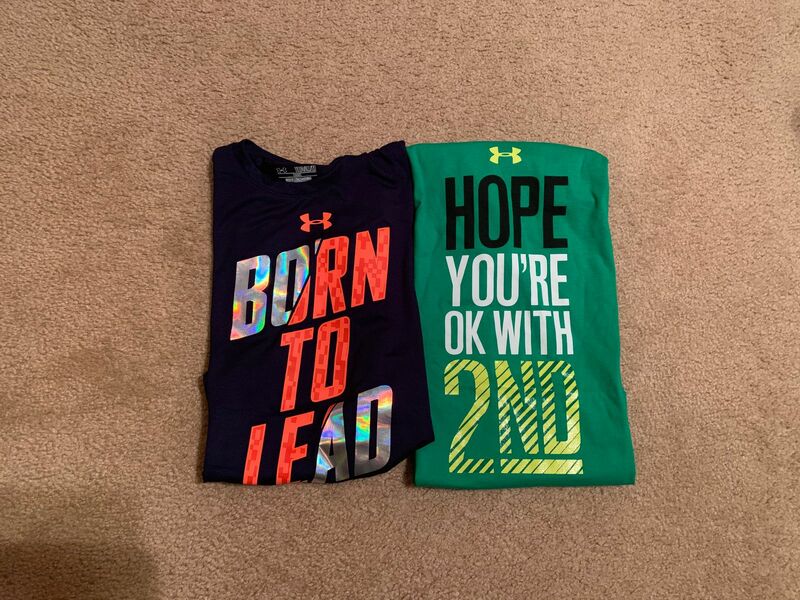 The highest quality shirts Under Armour has to offer! Get an assorted tee for Boys' or get them as a gift for a family member. One shirt may include assorted graphic logo style tees in various colors. Samantha M. Reviewed by Samantha M.
This was an amazing deal, and my son was thrilled. All of the shirts were different in color. Sarah C. Reviewed by Sarah C.
My sons loved their shirts. LaQuey M. Reviewed by LaQuey M.
The shirts were great quality! My son loved them. I was afraid since I was not sure what they were going to look like. But, liked them all. I was a little weary about ordering mystery shirts but I’m so glad I did. I received 2 shirts that my son loves. My son loves dressing like dad. Fantastic price on UA polos.